And the crowd goes wild! 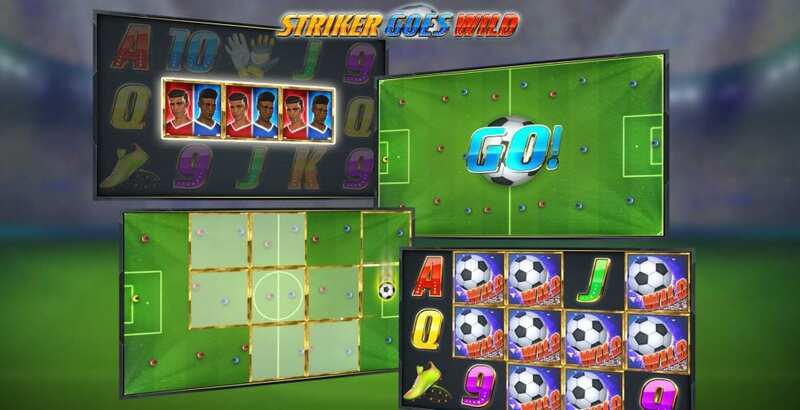 This football-based online slot sees 2 strikers pitting their skills against each other. You’ll hear the crowds roaring from the bleachers as those reels spin and you hope to strike it lucky with big cash prizes. Play slots online now! Eyecon was founded in 1997 as a computer game company, with their most successful game, Gore, receiving millions of downloads. From there, they moved into creating casino games and other gambling software. Temple of Isis, their first slot online and released in 2003, remains an extremely popular game today. Their aim with their suite of online slots is to manufacture games that are timeless, creating experiences that players enjoy year after year. Their most successful game to date is Fluffy Favourites. It was released in 2006 and, in Eyecon’s humble opinion, continues to be one of the best online slot games available! This one of the top-rated slot games online has 5 reels and 3 rows. The Gameboard background echoes a scoreboard while the screen background naturally depicts a blurred pitch, reaching up to the stands and further to the floodlights at the zenith of the stadium. There are 25 paylines and incremental choices on betting stakes with a minimum of a penny and a maximum of £2. 6 low value icons are, as ever, letters and numbers based on a standard deck of playing cards. In this case, they are 9, 10, J, Q, K and A, italicised, boldly coloured and decorated in a football style. The high value icons are football ephemera and paraphernalia: a pair of goalie gloves, a pair of football boots, a referee’s whistle, a goal and a shining gold trophy backgrounded by ticker tape. The WILD is a football. 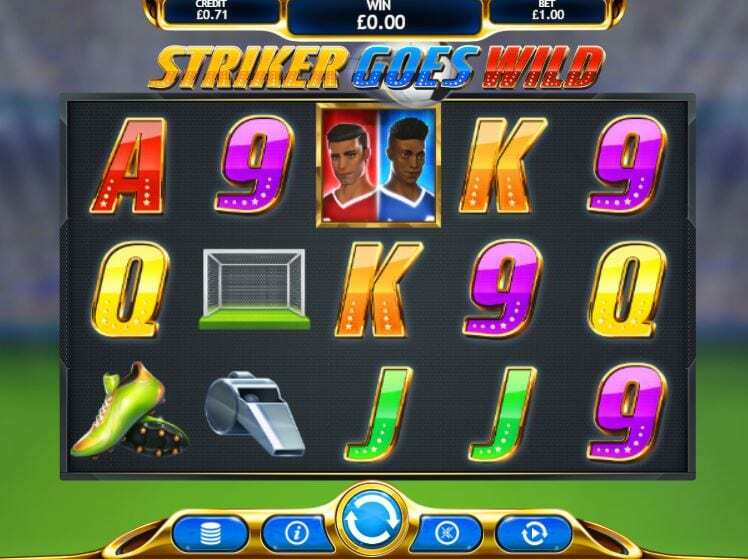 It can substitute for any of the symbols listed above but only appears during the Striker Goes Wild feature. The SCATTER is a picture of the 2 rival strikers, one clad in red and the other in blue. Striker SCATTERS only appear on reels 2, 3 and 4. 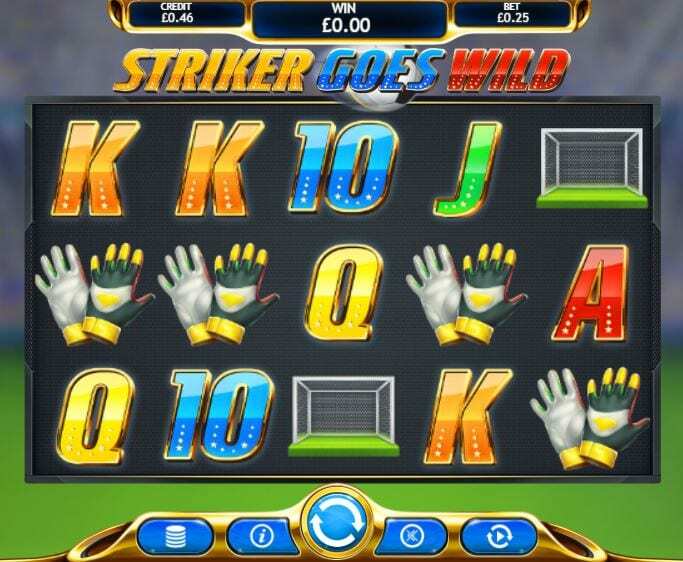 Hit 3 SCATTERS anywhere on the board to trigger the Striker Goes Wild feature. One of 12 patterns, known as goals, is selected and then overlays the goal over the reels. All symbols that are within the pattern turn into ball WILDS then goals are evaluated at the lines and bet per line of the triggering spin.